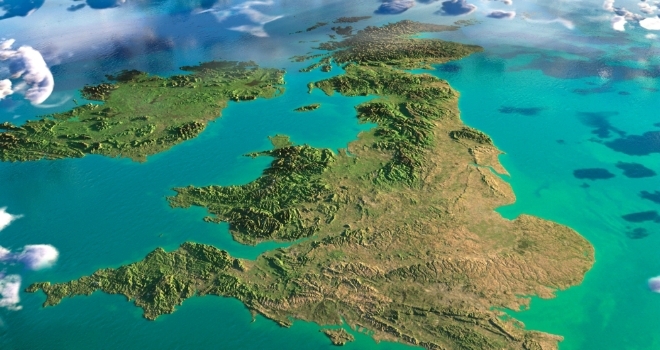 A new study from PropCast has revealed that, since it was announced that the UK would be leaving the EU, buyer demand has risen for 57% of the counties, across England and Wales combined, with buyers increasing their love the most for Dyfed in Wales – up 64%. The study examined the percentage change in buyer demand for each county from June 2016 to Jan 2019 to see what effect Brexit has had on buyer demand levels, and therefore the potential for house price growth, the most. It seems that Brexit is not affecting the UK property market equally. In addition to Dyfed, five other Welsh areas - Powys (+58%), Clwyd (+58%), Mid Glamorgan (+41%), Gwynedd (+38%) and Gwent (+37%) have all seen a noteable increase in buyer demand. As a house selling weather forecast, PropCast has noted that despite this rise in buyer demand, Dyfed, Powys, Clwyd and Gwynedd are still in a buyers’ (cold) market according to their market heat temperatures - although the balance of power is now inching closer to sellers. Meanwhile growing popularity has meant Mid Glamorgan and Gwent have moved into a sellers’ (hot) market. In England, the county that experienced the greatest increase in affections is the Isle of Wight, with buyer demand rising 34%, closely followed by Shropshire (+31%), Herefordshire (+28%) and South Yorks (+27%). This increase has pushed the Isle of Wight and South Yorks into a sellers’ market, whilst Shropshire and Herefordshire sit just under the threshold. Other counties who have migrated into a sellers’ market due to this increase in demand include Cornwall and West Yorks, whilst the existing sellers’ markets of Leicestershire, Worcestershire, Devon, Derbyshire, Staffordshire, West Midlands, Greater Manchester and Nottinghamshire have become even more favourable for sellers. However, heart ache looms for some as home buyers fall out of love with over half of England’s counties. Demand has dropped the most for Buckinghamshire - down 40% - followed by Bedfordshire (-37%), Hertfordshire (-35%), Berkshire (-32%) and Greater London (-31%). Other counties include Essex, Cambridgeshire, Oxfordshire and Surrey. This fall in buyer demand potentially indicates either the home moving portion of the electorate are experiencing some sort of Brexit remorse or are largely ‘remainers’ in their makeup. Overall, PropCast’s temperature analysis found the best markets for sellers to be Bristol followed by West Midlands, Warwickshire, Nottinghamshire, Greater Manchester, and South Yorkshire. Gavin Brazg, PropCast’s creator, comments; “The dreaded ‘B’ word has caused somewhat of a stir for buyers and sellers across the nation. However, it’s not as doom and gloom as is often portrayed. The potential effect of Brexit on confidence in the property market is nuanced and varies from County to County. It’s outside of the scope of this study but we suspect falls in buyers demand have been the largest in the areas where the decision to leave or remain was closest run. That said, sellers shouldn’t be downhearted if their County looks to be getting the cold shoulder from buyers at the moment – it is still absolutely possible to sell. Serious buyers are out there, they’re just extremely price and condition sensitive. The key to success is to identify your competition in the market and then position your home so it represents the best value for money. Choosing a proactive local high street estate agent who implements the correct selling strategy for this type of market is imperative, so make sure you do your research before choosing one. Don’t focus on who is offering the lowest fee – focus instead on who is being honest about what is really happening in your local market, and what they will do to promote your home to the widest possible audience.